Both items are KiX original mesh and animations with texture change options and many props. A few days of shopping dedicated to all the kinds of love (or lack of!). 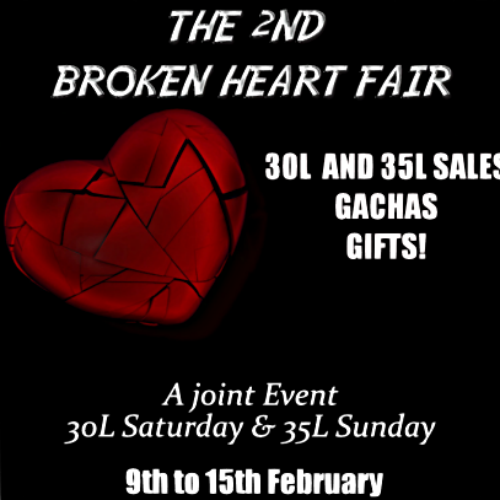 A new joint event organized by 30L Saturday & 35L Sunday! 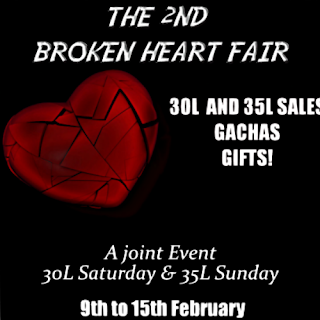 ▶ More than 50 shops with 30L and 35L items, discounted wares and GIFTS! ▶ The best gachas from past events! So here are my tips to get him to pop the question this Valentine's Day (this could work for you too guys). Step 1. Using the KiX Rose Rug find a romantic spot. I decided on a little area in the woods to get an ethereal feeling going. Of course the outfit had to fit in too, hair, flowers, a girl has to look right for these moments. Let's start with inviting him over for a chat. Step 5. Repeat steps 2 and 4 if necessary and then.. Step 6. Mission accomplished! Let's celebrate!! This rug is stuffed full of animations and props, original and exclusive to KiX. It has a texture change menu to change your rose and can fit into many environments. Currently it has a promotion offer on the Marketplace where if you buy the adult rug, you get the PG version free. The rug also comes in different styles including a fur version and a plaid version.